Two weekends of fun, sketching and lots of flying around await us! We're very excited to be going to ITALY as guests at NAPOLI COMICON this weekend and, for our delight, Italy is the country with the largest variety of our books (after Brazil and the U.S., of course). So we will have two panels and signings with many publishers. For all of you who are attending the convention, look for the schedules of these publishers and you might find us. - TCAF 2012 KICK-OFF EVENT! 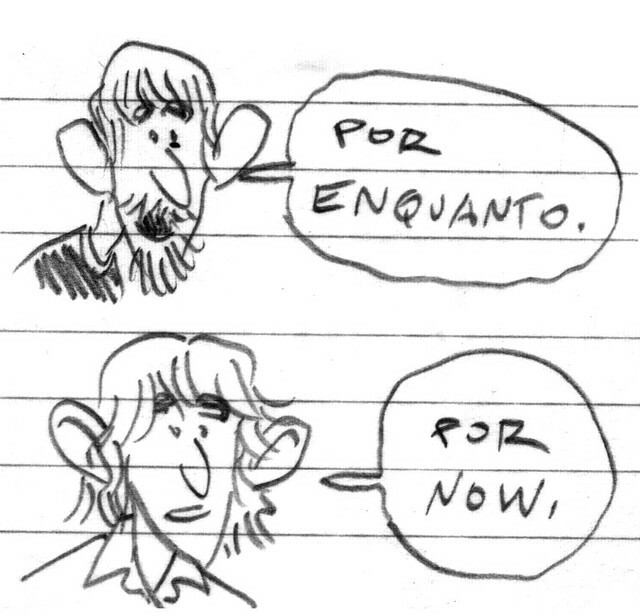 Jeff Smith, Gabriel Ba, and Fabio Moon in conversation! @ Toronto Reference Library, 789 Yonge St.
- We have a spotlight on our work sometime on sunday, May 6th, and we'll talk about how you can't turn back once you discover all the different possibilities of comics as a language. We'll have some signings, I guess, and a table where we can hang out, but we want to walk the floor a lot and discover new stuff and authors. We expect to have lots of fun on both conventions and meet lots of people. It's coming in July. You should go to your comic book store and make sure your store person orders the book for you. You'll probably need to order two books, to read the story twice, and then you'll understand it. And it will be awesome. 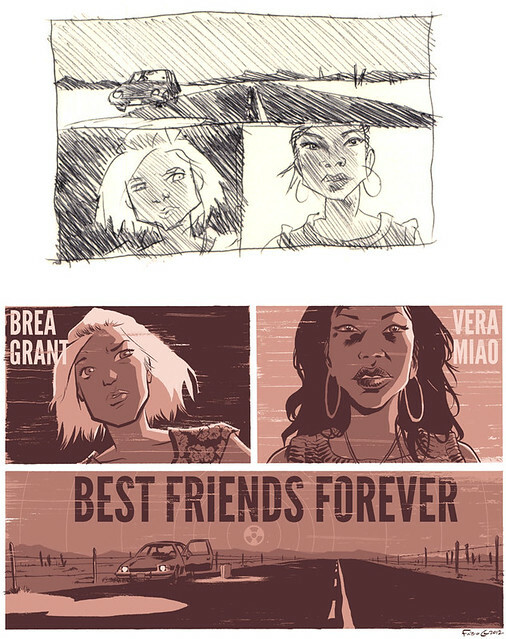 My friend Brea Grant (who I met throught comics, but she's also an actress) is making her directorial debut writing and directing a post-apocalyptic road movie called Best Friends Forever and she has this great Kickstarter campaign to help raise the money they need to finish the film. You can contribute with various amounts, and there are super cool prizes for those who help out. So, the project has only 10 more days to raise the money, and they can use your help. This is a cool project, Brea is a serious and talented professional and we can help. The French edition of our beloved Daytripper is ready, a beautiful hardcover, and it will be out on April 27th, published by Urban Comics, a division of the Dargaud group. 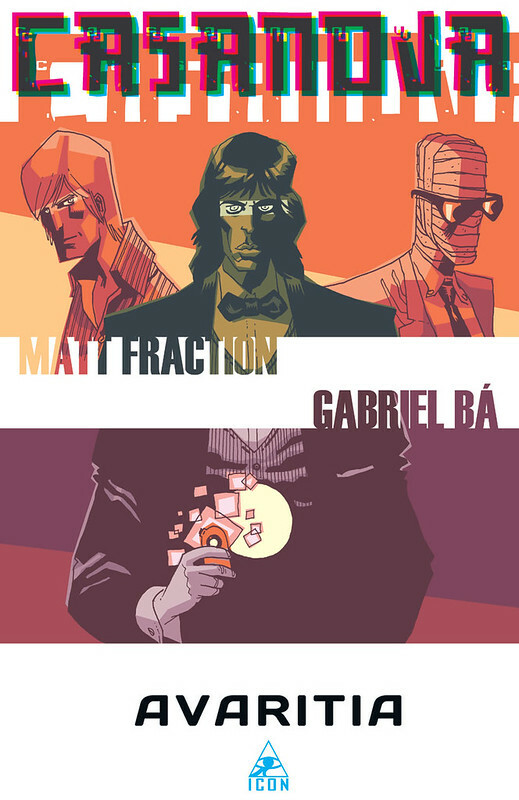 We will be in Napoli for NAPOLI COMICON at the time and I hope I can get my hands in one copy (aside from the Italian and Spanish editions as well. Yes, I think the European market is all connected and works as one big thing. I know it's not that simple). 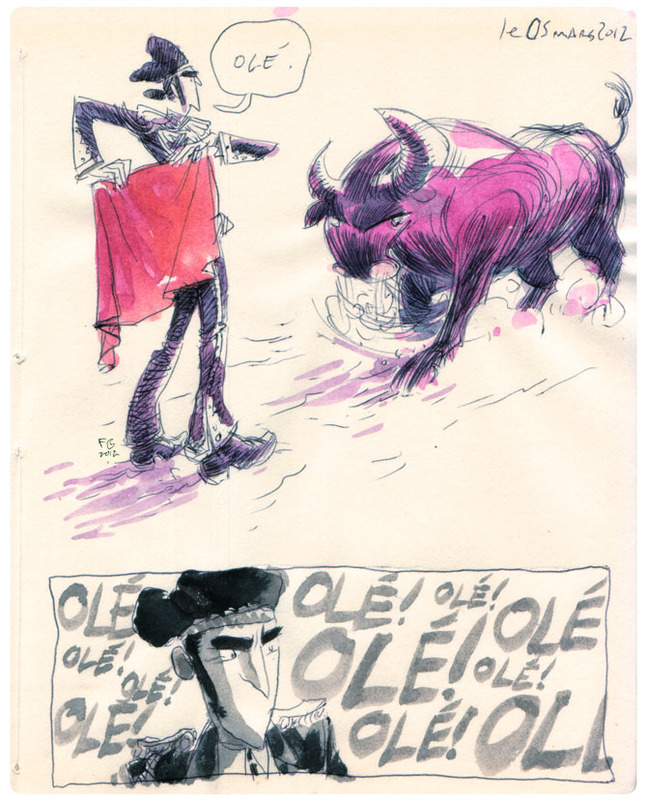 There's a nice new introduction by Cyril Pedrosa (and it keeps the beautiful illustrated piece by Craig Thompson). You can get all the information about the book here. 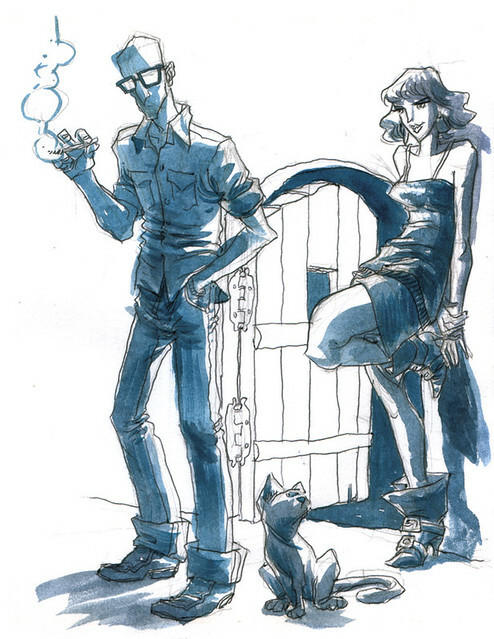 Thanks everyone who made it possible, specially François, who took such good care of our book at Urban Comics.